Click the “Setup” button in the main menu. Select the “Settings -> System Settings” menu item. 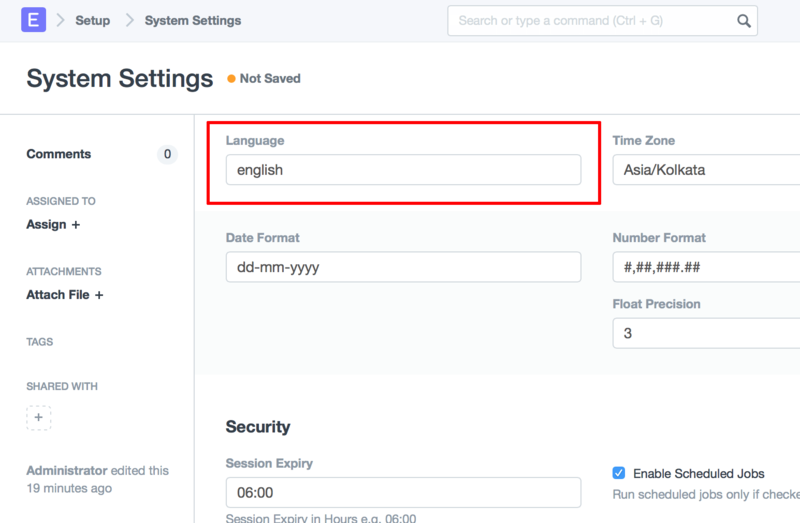 Select a new language using the “Language” field. Click the “Save” button to save your changes.